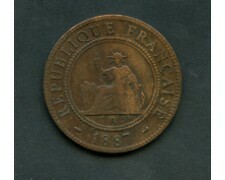 1892 INDOCINA FRANCESE - 1 centesimo in bronzo (Cat. World Coins. KM.1) splendida conservazione Spl. FRENCH INDOCHINA 1892 - 1 cent bronze (Cat. World Coins. Km.1) beautiful conservation Spl. 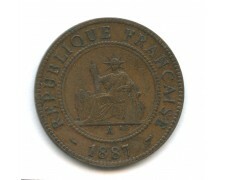 1887 INDOCINA FRANCESE - 1 centesimo bronzo (Cat. World Coins KM# 1) Ben conservato BB+. 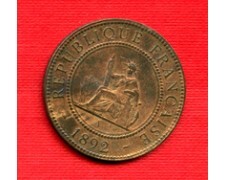 1887 INDOCINA FRANCESE - 1 cent. Bronzo (Cat. World Coins N° KM # 1) Ottima conservazione BB/Spl.